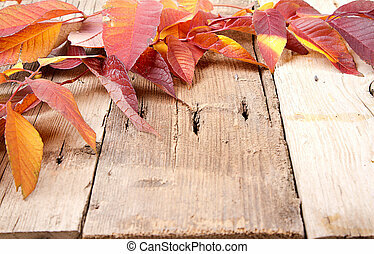 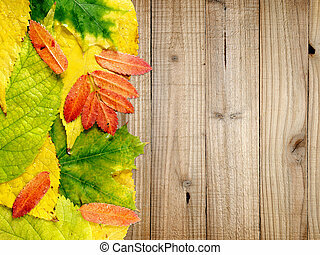 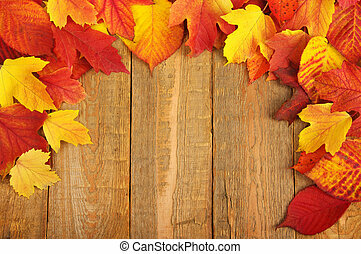 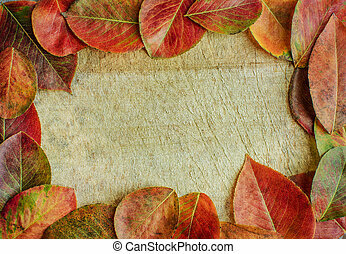 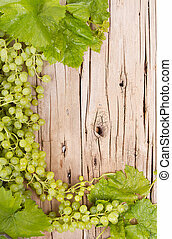 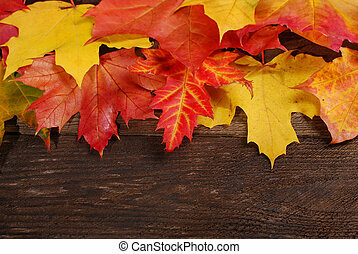 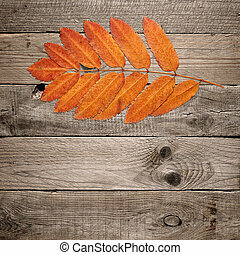 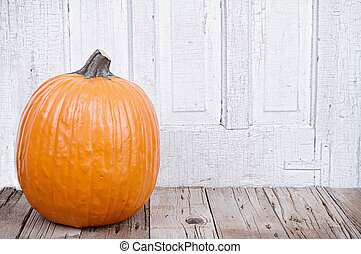 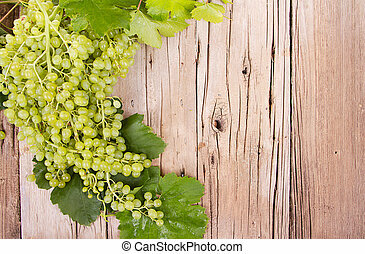 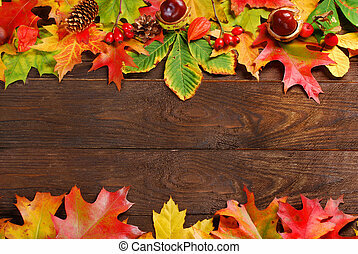 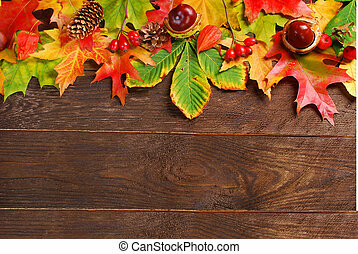 Autumn leaves on wooden plank. 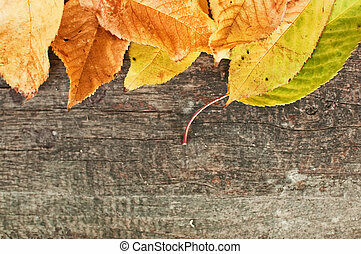 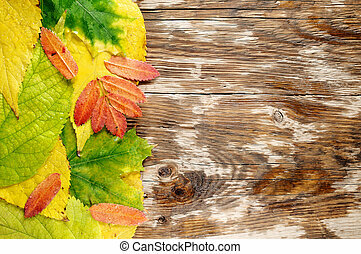 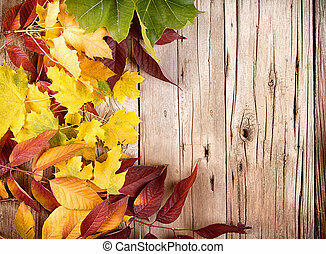 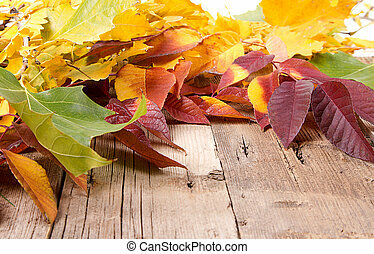 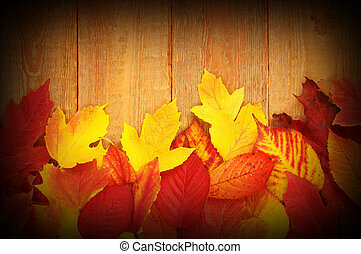 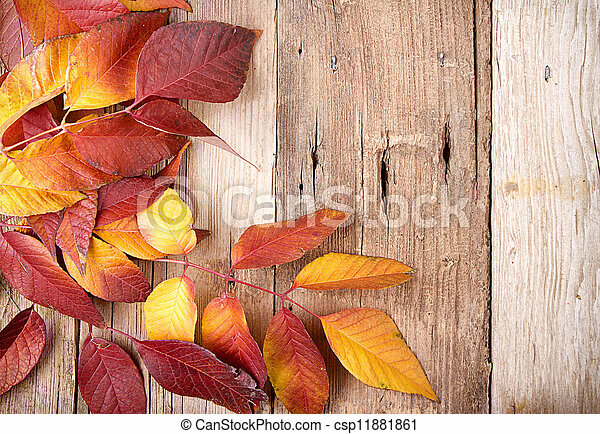 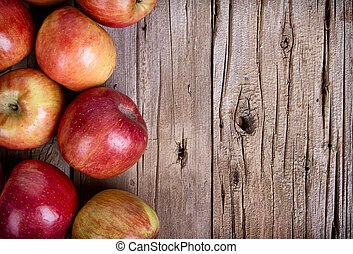 Red and yellow autumn leaves on a wooden plank. 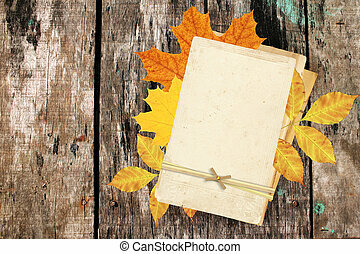 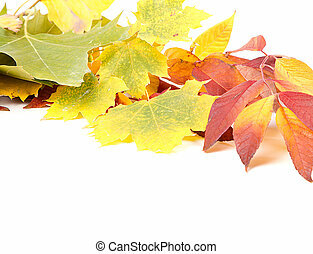 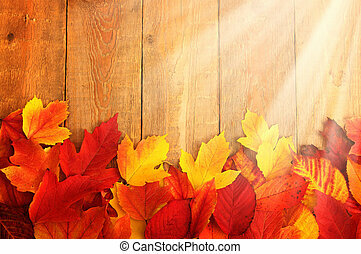 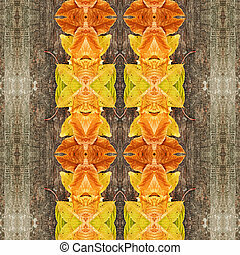 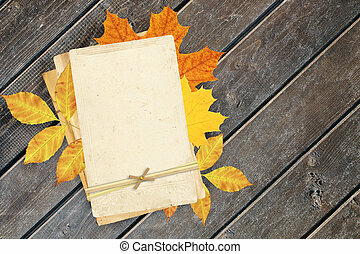 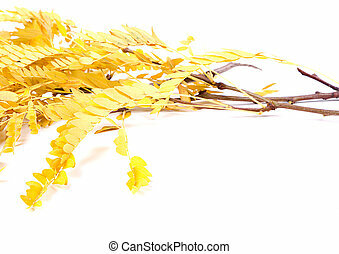 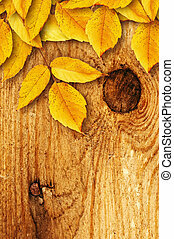 Yellow autumn leaves on grunge wooden background, seasonal background image - kaleidoscopic image.